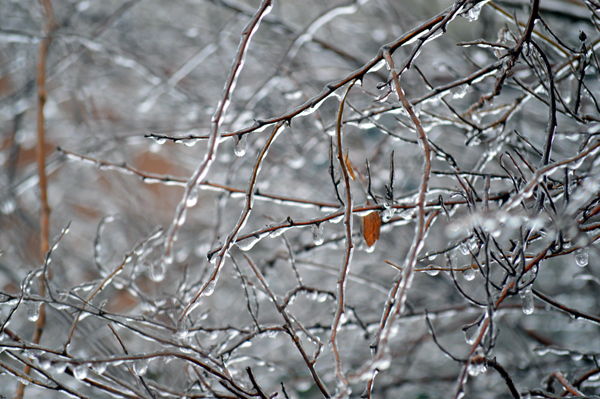 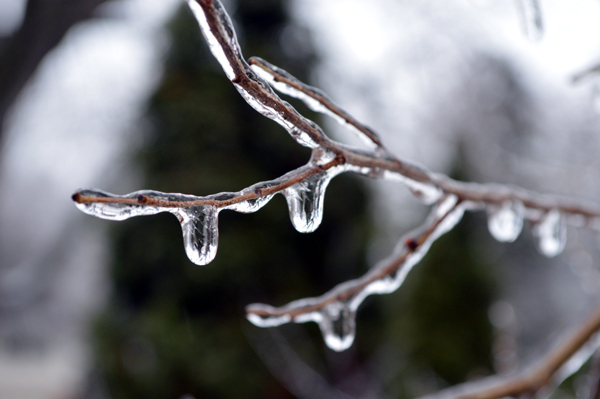 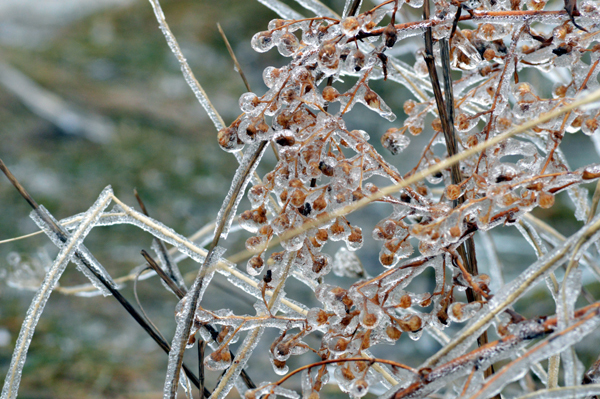 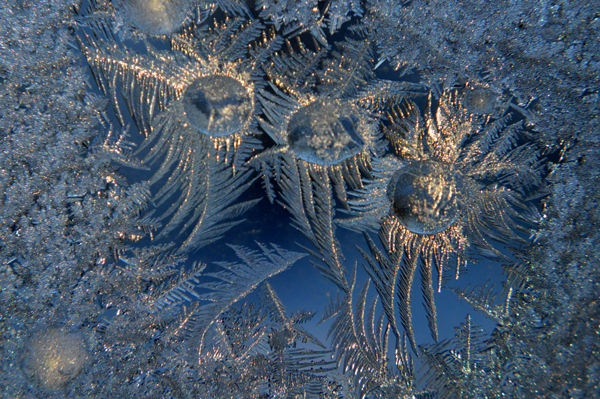 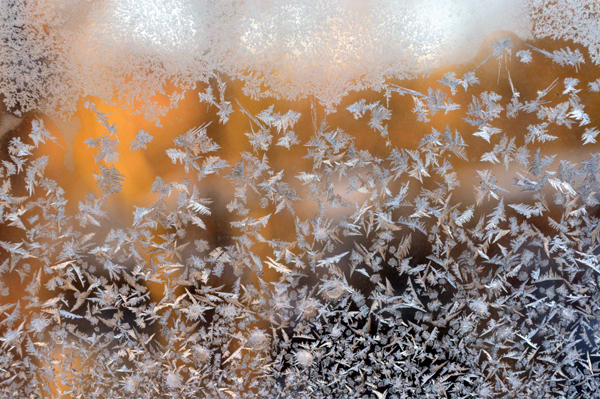 Although it can be dangerous, ice certainly brightens up plain brown branches. 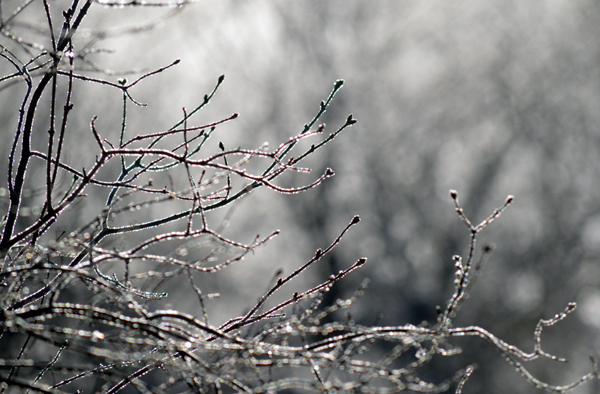 Light glows off winter branches. 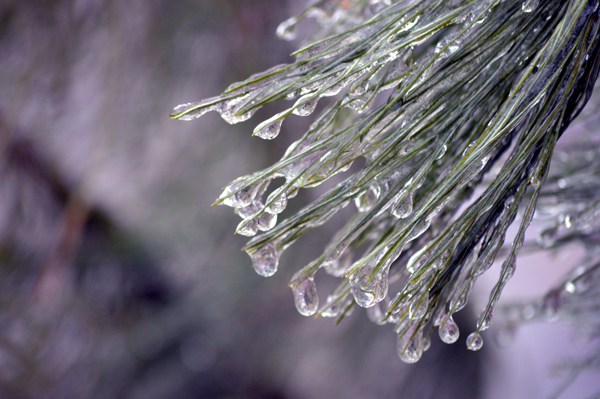 White pine shimmers with ice.